Arts and culture is an essential element of what makes places and communities healthy, connected, and vibrant. 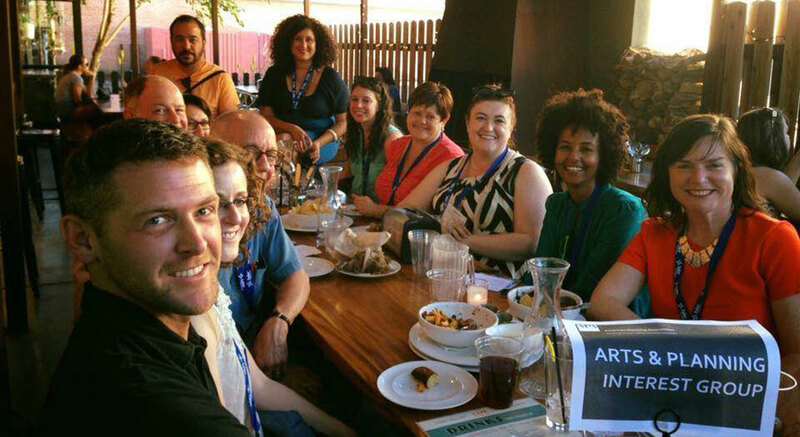 The Arts and Planning Interest Group (APIG) is a collaborative space for planners and artists who believe that arts and culture is an essential element of what makes places and communities healthy, connected, and vibrant. The Interest Group provides a forum for identifying, developing, and refining policy and planning tools that promote the integration of arts and culture into community development and planning. This includes exploration of topics like creative placemaking, cultural planning, public art planning, cultural economic development, and zoning and permitting pertaining to arts uses and facilities. APIG is free to join. To sign up, take the new members survey. Also, join our LinkedIn group to stay connected and informed about events and more! Erika Dani, Asset Manager, Artspace Projects, Inc.